What May Protect You from Heart Disease, Cancer, and Wrinkles? Who would have thought that a simple spice could do so much for our health, and our skin? Several years ago, few suspected that turmeric, the main ingredient in curry, could potentially lower the risk of heart disease, protect us from dementia, kill cancer cells, ease arthritis pain, improve depression, and even help delay aging. Recent studies have indicated this little orange spice may do all that and more. You may be surprised to learn that we use turmeric as part of our Tri-Rescue Complex in all of our CV Skinlabs products. We knew years ago that this spice was on its way to superstardom in the health and skin care industries. Today, research continues to discover more about what turmeric can do, and it’s really exciting to imagine how we may be using it in years to come. Turmeric (Curcuma longa) is a perennial plant in the ginger family, and grows naturally in southwest India. The part of the plant most often used for medicinal reasons is the rhizome or root of the plant, which grows horizontally underground. Shaped somewhat like a potato, this root is typically boiled, dried, and ground into an orange-yellow powder for use as a spice. The rhizomes can also be used to plant new turmerics. Though the spice contains a number of potentially healthy ingredients, curcumin is the most studied so far. Other ingredients include oils like turmerone, atlantone and zingiberene, as well as some sugars, proteins, and resins. The spice is widely used in South Asian and Middle Eastern cooking, and is also widely grown and used for its color. One of the most exciting areas of research on turmeric is for brain health. Research has shown that India, where they use curry all the time, has a low incidence of Alzheimer’s disease. Studies on curcumin have found it to be an anti-inflammatory and antioxidant-two properties that help protect the brain as well as many other areas of the body. In a 2008 study, researchers reported that curcumin improved cognitive function in patients with Alzheimer’s disease, and a more recent study found that it had the ability to enter the brain, bind, and destroy the beta-amyloid plaques present in those with Alzheimer’s disease. We still need more research to determine just how effective curcumin may be in helping to prevent or treat dementia, but the early results are intriguing, and show how powerful this spice can be. Reduce inflammation: Chronic inflammation has been found to be a factor in many of our modern-day diseases, including heart disease, arthritis, cancer, dementia, and more. It most certainly exacerbates skin conditions like eczema, rosacea and psoriasis. Curcumin is a natural anti-inflammatory, and has shown in some studies to be just as powerful as some anti-inflammatory drugs. Neutralizes free radicals: The skin and the body are regularly under attack from damaging free radicals, which can accelerate aging and increase risk of disease. Curcumin is a powerful antioxidant that neutralizes free radicals, and protects us from their damaging and aging affects. It even helps stimulate the body’s own antioxidant mechanisms. Lower risk of heart disease: Curcumin helps improve the function of the “endothelium,” which is the lining of our blood vessels. That, combined with its anti-inflammatory and antioxidant properties, may help reduce the risk of heart disease. Ease arthritis symptoms: Again, because of its strong anti-inflammatory action, curcumin has been found to help ease the symptoms of arthritis-even more effectively in some cases than anti-inflammatory drugs. Relieve depression: Though we have only small studies so far, there is some indication that turmeric may help boost levels of “feel good” neurotransmitters in the brain, potentially easing symptoms of depression. In one study, it worked as well as Prozac. Reduce risk of cancer: Early studies have indicated that curcumin can reduce the growth of tumors, slow the spread of cancer, and kill cancerous cells. We still need large human studies, but preliminary evidence looks promising. As we look at the studies, we can see some evidence as to how turmeric may benefit skin. The anti-inflammatory and antioxidant properties alone could help reduce psoriasis and rosacea flare-ups, tame acne breakouts, and protect skin from environmental assaults. Protection from UV rays: In a 2009 study, turmeric helped protect from the sun, reduced dark spots and prevented the formation of wrinkles. A later study suggested that turmeric be included in sunscreen because of its powerful protective properties. Reduce hyperpigmentation: A 2013 study found that turmeric reduced the production of melanin, which is what creates pigmentation. It even performed better than hydroquinone when it came to lightening and brightening the skin. Slow down aging: Because of its anti-inflammatory and antioxidant properties, turmeric is expected to help slow the appearance of aging on the skin. Since the sun is enemy number one when it comes to aging, the fact that turmeric protects us from UV rays is also evidence of its potential anti-aging effects. In fact, in one study, researchers found that after eight weeks, those participants using a cream with both turmeric and niacinamide experienced 15 percent improvement in fine lines and wrinkles over those using another cream that had only niacinamide. Balance skin oils: Those of us who suffer from acne know how difficult it is to balance skin oils. Harsh acne products strip the oils and create dry skin, which can exacerbate acne. Turmeric was shown in a 2013 study to help reduce oil production in persons suffering from acne. Reduce risk of skin cancer: In a 2011 study, researchers found that skin samples not treated with turmeric developed tumors 2.3 times faster when injected with skin cancer cells than skin that had been pretreated with turmeric. The spice was shown in another study to kill the most serious skin cancer cells-those that cause melanoma. Heal wounds: If you’re looking for something to heal burns, bites, and other wounds, turmeric is the way to go. Studies have found that it was just as effective as honey in healing wounds, and more effective than coconut oil. It was also found in 2011 to be just as effective at healing burn wounds as the standard drug, silver sulfadiazine. Treat psoriasis: We know that the anti-inflammatory effect would be good for people with psoriasis, and we also have a few studies that indicate curcumin may be particularly helpful when it comes to this disease. In 2000, researchers found that it inhibited the action of a particular type of protein associated with psoriasis, and also decreased symptoms. Another small study found that oral curcumin improved symptoms. Talk about powerful! If you’d like to try turmeric for yourself, check out our products at CV Skinlabs. Then you may want to consider using a bit more of it in your cooking tonight! Have you experienced the benefits of turmeric in your life? Please share your story. Shrikant Mishra and Kalpana Palanivelu, “The effect of curcumin (turmeric) on Alzheimer’s disease: An Overview,” Ann Indian Acad Neurol., Jan-Mar 2008; 11(1):13-19, http://www.ncbi.nlm.nih.gov/pmc/articles/PMC2781139/. Patricia Jumbo-Lucioni, “Curcumin’s ability to fight Alzheimer’s studied,” Vanderbilt University, January 8, 2015, http://news.vanderbilt.edu/2015/01/curcumins-ability-to-fight-alzheimer-studied/. Sumiyoshi M, Kimura Y, “Effects of a turmeric extract (Curcuma longa) on chronic ultraviolet B irradiation-induced skin damage in melanin-possessing hairless mice,” Phytomedicine, December 2009, 16(12):1137-43, http://www.ncbi.nlm.nih.gov/pubmed/19577913. Kaur CD, Saraf S., “Topical vesicular formulations of Curcuma longa extract on recuperating the ultraviolet radiation-damaged skin,” J Cosmet Dermatol., December 2011; 10(4):260-5, http://www.ncbi.nlm.nih.gov/pubmed/22151933. Yongfu Jiang, et al., “Synthesis and Biological Evaluation of Unsymmetrical Curcumin Analogues as Tyrosinase Inhibitors,” Molecules, 2013; 18:3948-3961. Muhammed Majeed, et al., “A randomized, double-blind, placebo-controlled, comparative study: The safety and efficacy of 0.25% tetrahydrocurcumin (turmeric) cream as depigment agent against 4% hydroquinone cream,” Household and Personal Care Today, March 2010, 44-46, http://www.sabinsa.com/newsroom/articles/SabiWhite.pdf. Shahiq uz Zaman and Naveed Akhtar, “Effect of Turmeric (Curcuma longa Zingiberaceae) Extract Cream on Human Skin Sebum Secretion,” Tropical Journal of Pharmaceutical Research, October 2013; 12(5):665-669, http://www.bioline.org.br/pdf?pr13080. E Sikora, et al., “Curcumin, inflammation, ageing and age-related diseases,” Immunity & Aging, 2010; 7(1):doi:10.1186/1742-4933-7-1, http://www.immunityageing.com/content/7/1/1. Deborah Brauser, “Turmeric Cream Decreases Signs of Aging,” Medscape Medical News, March 16, 2010; http://www.medscape.com/viewarticle/718563. Phillips JM, et al., “Curcumin inhibits skin squamous cell carcinoma tumor growth in vivo,” Otolaryngol Head Neck Surg. July 2011; 145(1):58-63, http://www.ncbi.nlm.nih.gov/pubmed/21493306. University of Texas M.D. Anderson Cancer Center, “Potent Spice Works to Block the Growth of Melanoma in Lab Test,” ScienceDaily, July 14, 2005; http://www.sciencedaily.com/releases/2005/07/050712232338.htm. 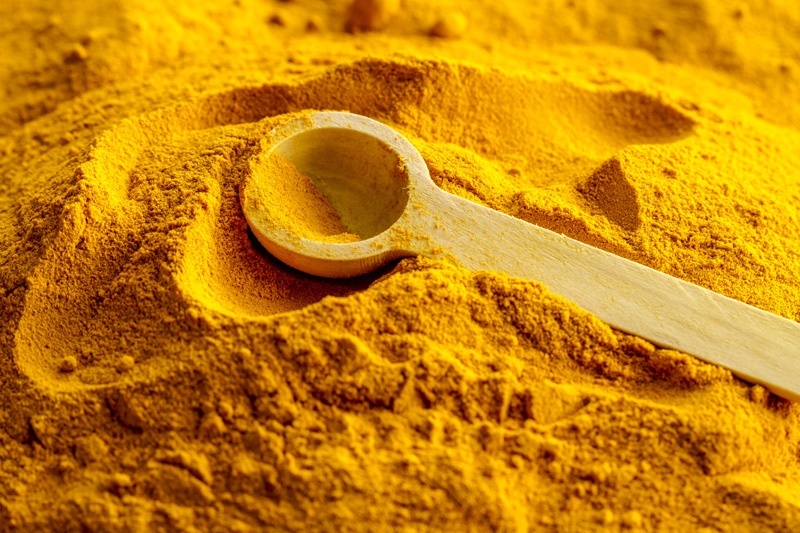 Kris Gunnars, “10 Proven Health Benefits of Turmeric and Curcumin,” AuthorityNutrition.com, January 2016, http://authoritynutrition.com/top-10-evidence-based-health-benefits-of-turmeric/. Kundu S., et al., “Turmeric (Curcuma longa) rhizome paste and honey show similar wound healing potential: a preclinical study in rabbits,” Int J Low Extrem Wounds, December 2005; 4(4):205-13, http://www.ncbi.nlm.nih.gov/pubmed/16286372. Keservani RC, Khan AS, “An experimental study of wound healing by topical application of turmeric (Curcuma longa) paste on rats,” Indian Journal of Surgery, February 1999; 61(1):22-5, http://medind.nic.in/imvw/imvw5454.html. Durgaprasad, et al., “Effect of a topical curcumin preparation (BIOCURCUMAX) on burn wound healing in rats,” Journal of Pharmaceutical and Biomedical Sciences, 2011; 8(8): 1-3; http://www.jpbms.info/index.php?option=com_docman&task=doc_view&gid=273&tmpl=component&format=raw&Itemid=41. Radhika Gadekar, et al., “Study of Formulation, Characterisation and Wound Healing Potential of Transdermal Patches of Curcumin,” Asian Journal of Pharmaceutical and Clinical Research, October 3, 2012; 5(suppl 4):225-230; http://www.ajpcr.com/Vol5Suppl4/1447.pdf. Heng MC, et al., “Drug-induced suppression of phosphorylase kinase activity correlates with resolution of psoriasis as assessed by clinical, histological and immunohistochemical parameters,” Br J Dermatol., November 2000; 143(5):937-49, http://www.ncbi.nlm.nih.gov/pubmed/11069500/. Kurd SK, et al., “Oral curcumin in the treatment of moderate to severe psoriasis vulgaris: A prospective clinical trial,” J Am Acad Dermatol., April 2008; 58(4):625-31, http://www.ncbi.nlm.nih.gov/pubmed/18249471/. Frontline Medical News in European Academy of Dermatology and Venereology, “Oral curcumin shown effective in psoriasis,” Frontline Medical News, [Press Release], November 10, 2014, https://www.pm360online.com/oral-curcumin-shown-effective-in-psoriasis/. Charlene Laino, “Curry Cream May Fade Wrinkles,” WebMD, March 9, 2010, http://www.webmd.com/beauty/wrinkles/20100309/curry-cream-may-fade-wrinkles.